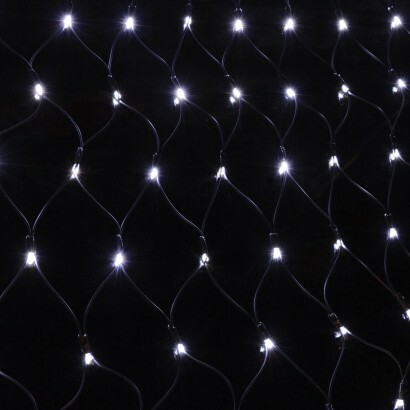 A heavy duty outdoor LED net light set with eight pre-programmed sequences, perfect for decorating trees, windows, or hedges either indoors or outdoors (the plug and controller must be kept indoors). 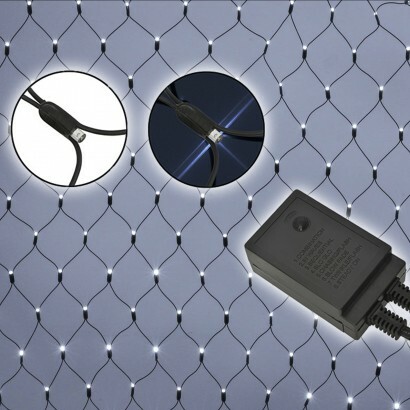 The high quality cool white LEDs have a long lifespan and are energy efficient. 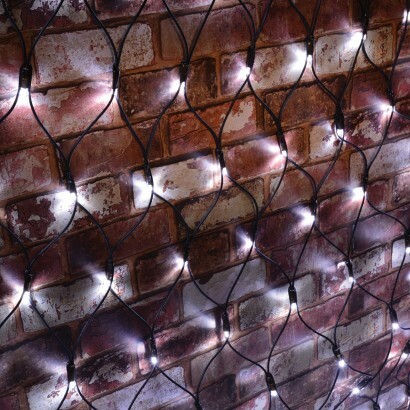 Each set of lights has a male connector so extra sets can be added; up to seven sets from just one plug giving a staggering 1680 LEDs! 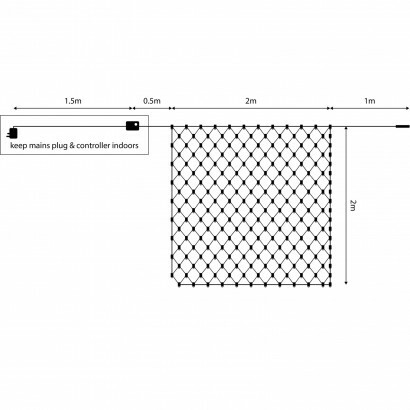 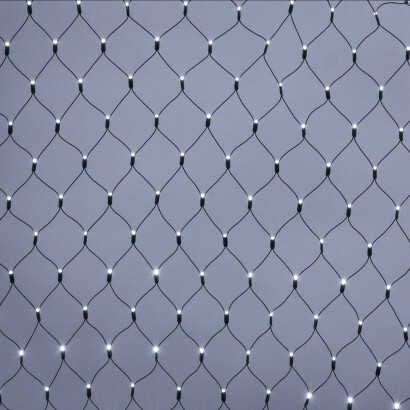 The illuminated nets are two metres by two metres and the connectable leads are one metre long so you can span an area of twenty metres from just one plug! 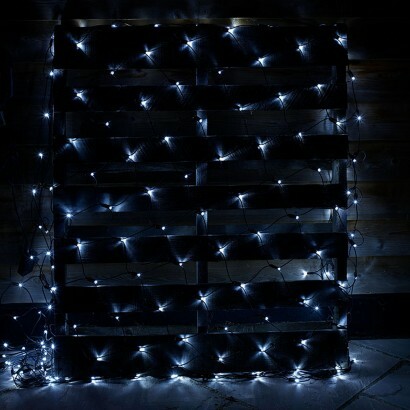 Perfect for creating stunning Christmas displays or for summer party lighting.